Hosting a summer cocktail party doesn't have to mean getting fancy. It's as easy as sending a fun invite and whipping up some exciting treats! Take your next cocktail event with friends and family outdoors and go glamping (glamourous camping that is.) 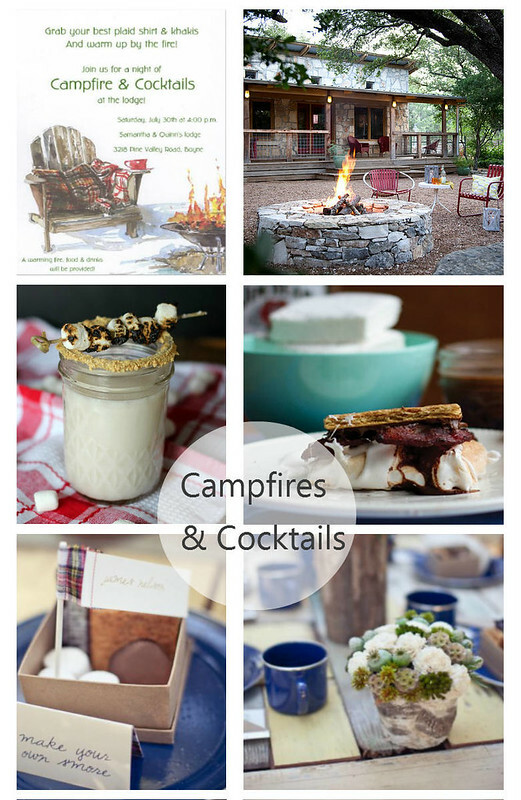 Host a campfire and cocktails themed party and create a casual chic event that will have everyone feeling warm and fuzzy. There is nothing like the ooey gooey goodness of a roasted marshmallow in the center of a s'more. Experiment with your favorite s'more dessert recipes and host a summer camp theme party of your own this summer! How do you take your s'mores?